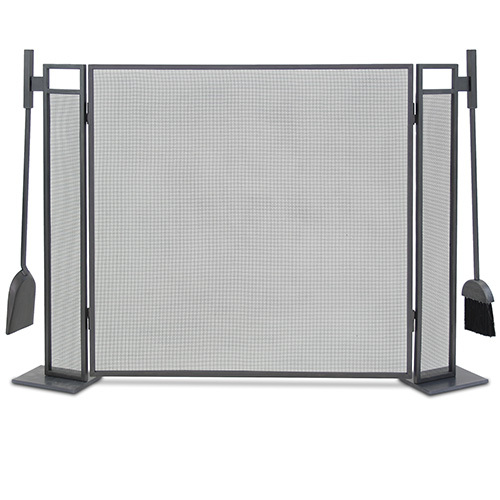 This natural iron finished screen is a Blackshear 3 panel screen measuring both thirty-two inches wide and thirty-two inches high. The lifetime warranty provided by the Pilgrim manufacturer suggests that strength is available to compliment the attractive design. That merging of attractive appearance and enduring materials is a smart option that won't soon disappoint the average hearth and home owner. Enjoy your fireside with this quality option and order today.